I say “lost weekend” since these are long lost pictures that I’d always intended to publish but missed the boat at the time then always meant to revisit prior to one St Patrick’s Day or another. These pics predate any of my current cameras and predate iPhones. I’m really noticing the pics aren’t as good as even what my mobile phone would manage but there you go – we do improve over the years even if we don’t realise it. 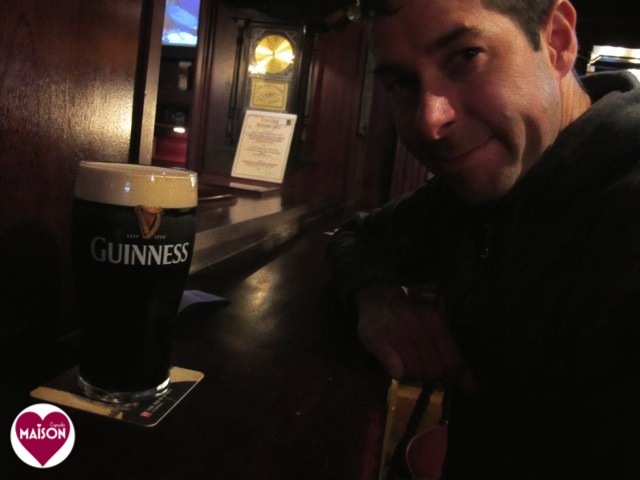 I took my husband for his first ever trip to Dublin to celebrate his 40th birthday… back in 2010. We flew with Ryanair from Birmingham – a much smaller Ted safely stashed with his grandma for the weekend. Which is fortunate because it rained all weekend. Nevertheless, donned with waterproofs we got out and explored the city and enjoyed the infamous Irish hospitality. An essential part of the Dublin experience is to board an open top bus. We managed to pick a window when the rain stopped to make the most of this! The bus passes by the Guinness brewery on the outskirts of the city where you can alight for a tour (we didn’t). 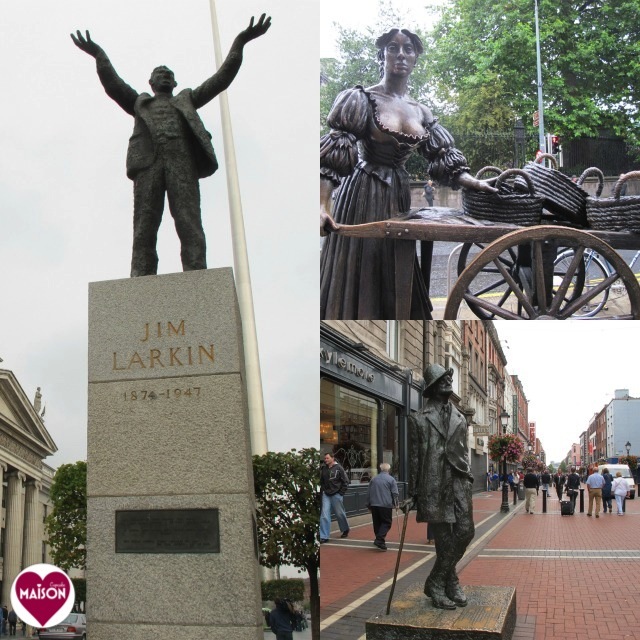 Dubliners like their statues – there are many people commemorated in bronze including Jim Larkin and “Tart with the cart” Molly Malone and her creator James Joyce. There was an Irish football (or was it hurling?!) 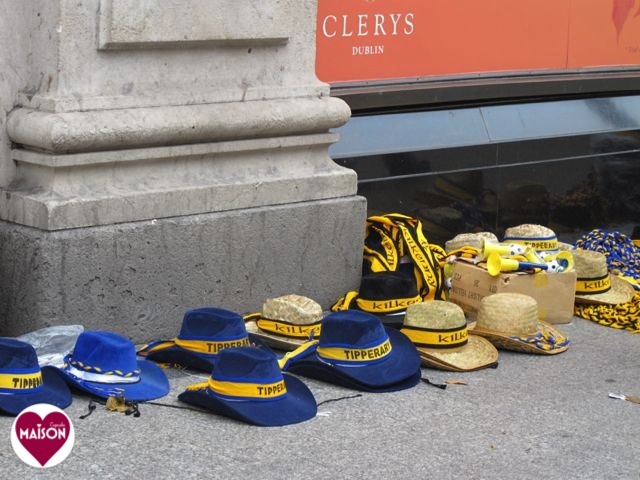 tournament taking place one day so the place was awash with people in hats and shirts supporting their teams. Foodie stop offs included food hall Fallon & Byrne – kind of like Harvey Nick’s top floor only without the rest of the shop. 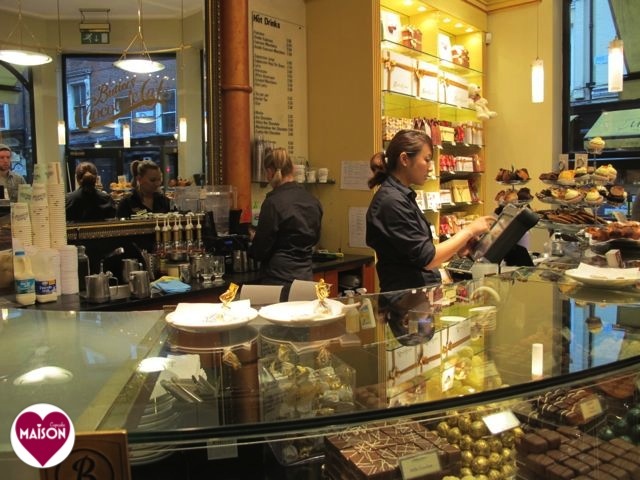 And Butler’s Chocolate Cafe which I did manage to blog at the time. We stayed at the Trinity Capital hotel close to Trinity College. 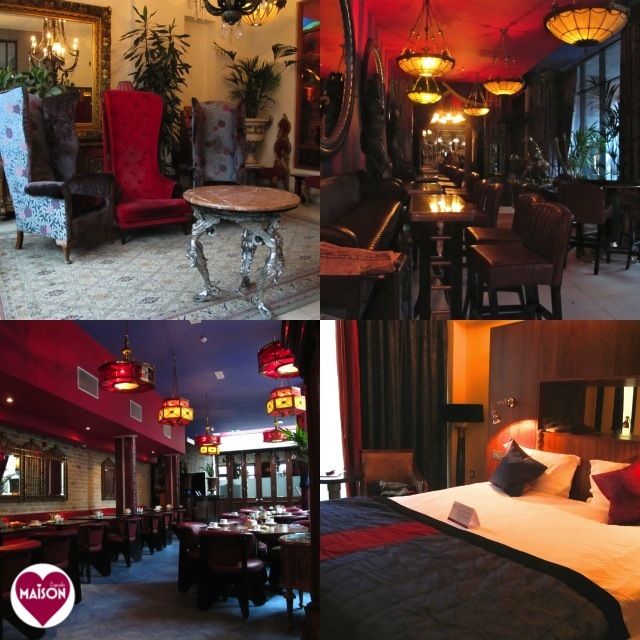 It was centrally located and competitively priced compared to other 4 star hotels in the city. Our favourite meal out was at The Green Hen bistro serving French influenced food making use of Irish sourced ingredients. And of course, the birthday boy had to get his pint of Guinness. 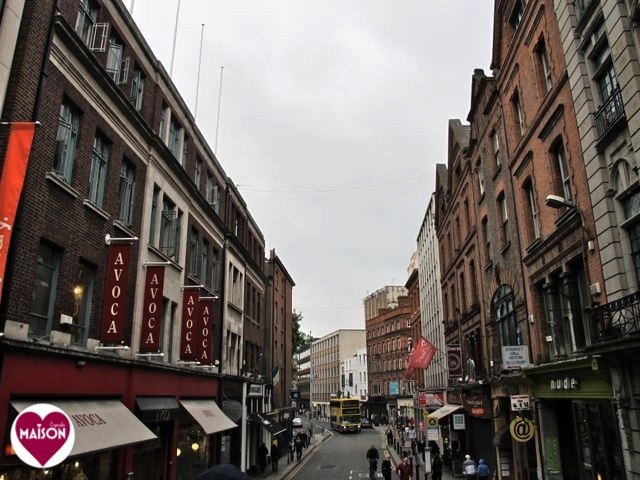 This was my second trip to Dublin and whilst flying there is inexpensive, hotels and restaurants had rocketed since my first visit in 2000. 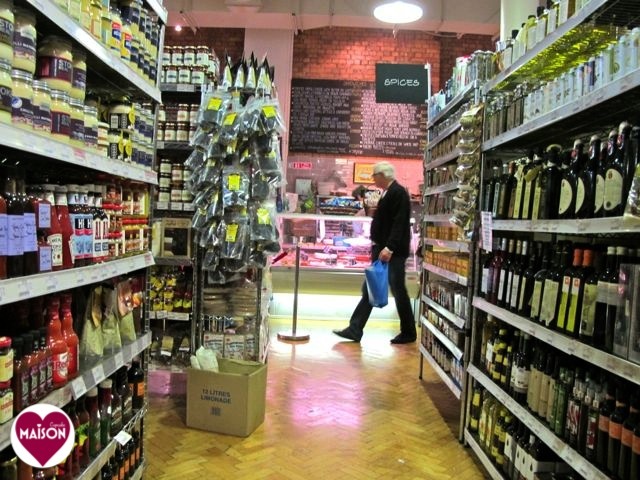 Our visit took place at the height of the Irish recession post credit-crunch but there was little sign of economic decline in Dublin other than a stark difference in numbers of staff serving in shops. In my previous visit I’d counted 17 members of staff on duty in a tiny branch of Boots on a Monday morning – this over staffing must be how Ireland enjoyed nearly full employment in the boom years and it was a weird feeling to enter a bank or post office and see every booth open with someone delighted to serve you and no queues. By 2010, unemployment levels had soared in Ireland with staffing levels in shops noticeably lower and restaurant costs noticeably higher. The city centre is small enough to explore on foot but the bus tour pass is well worth investing in to save on shoe leather. 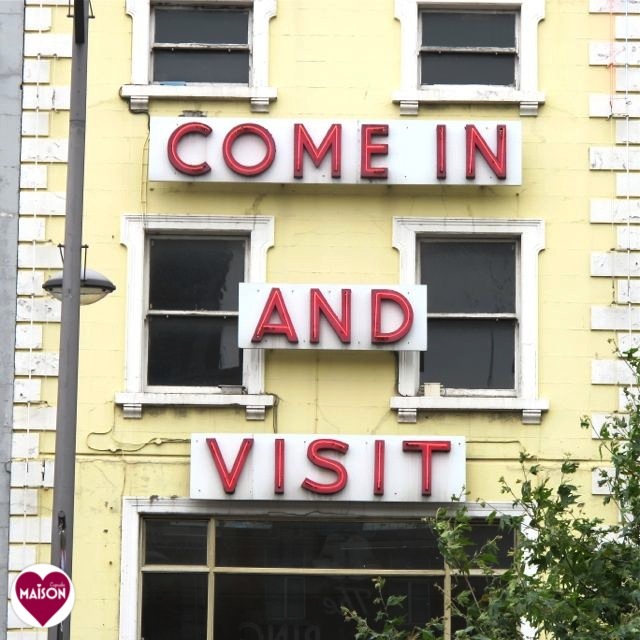 The weather is never going to be the main pull for a visit to Dublin – go for the food, the history, the pubs or simply a change of scenery – so spring is the perfect time to visit. What a lovely post Sarah. 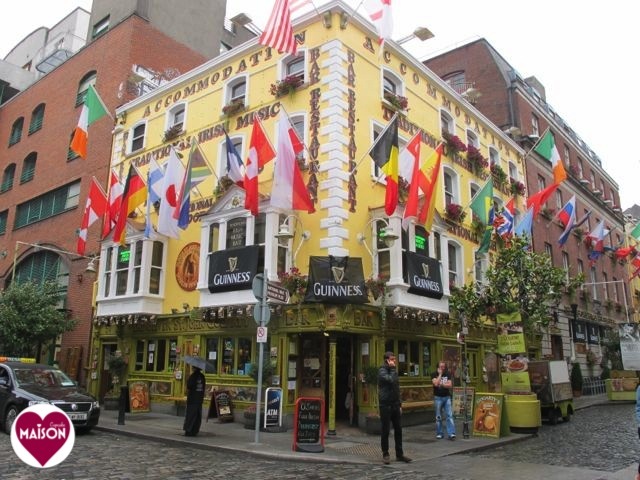 I used to go to Dublin about one a month for work, and managed to spend a few weekends with a friend there. Spot on with your description of Fallon & Byrne. What a lovely weekend and those oysters at the Green Hen bistro look delicious. 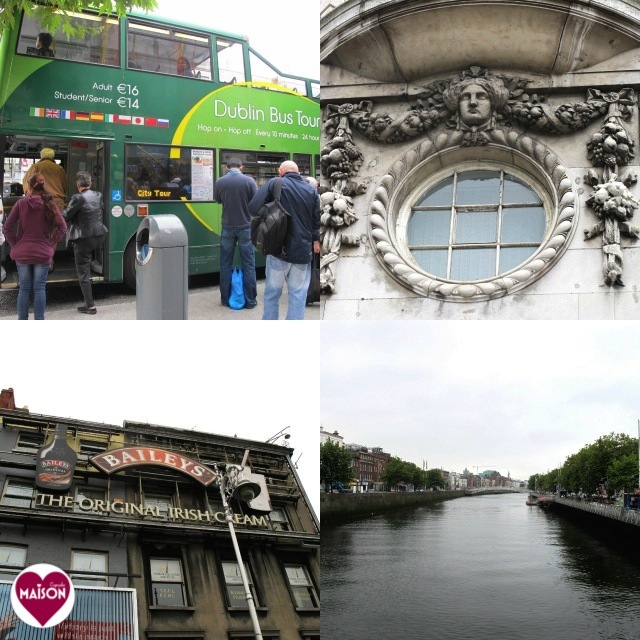 I’ve only been to Dublin once, a couple of years back and was also surprised how pricey it was but it does make for a fun weekend break, with less time on the planes and more in the city enjoying all Dublin has to offer. One of my highlights was going to The Westbury Hotel, on Grafton Street to escape the heaving shops and enjoy martinis by the piano bar. The city has a great cultural offering too. Great photos! 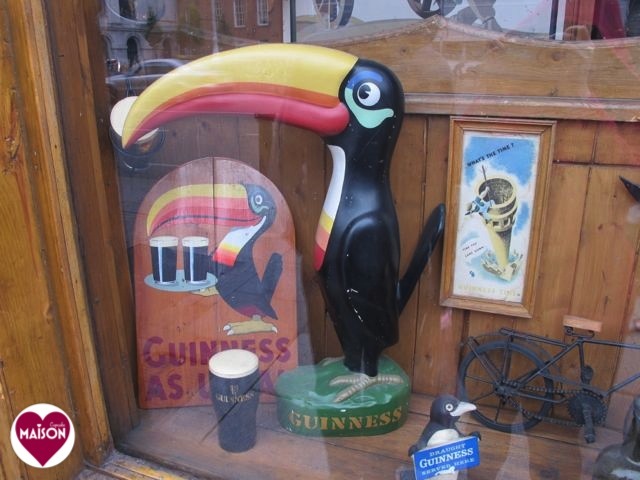 I love Dublin – I have only been for 1 night a couple of years ago and I am hoping to go back soon. It is a very short flight from Manchester, so I really have no excuse. Love it! I’m ashamed to say I’ve never been to Ireland, and it is way up the top of places I want to visit soon. I haven’t been to Dublin since I was a teenager. Based on these photos, I may have to make the trip again! I haven’t been to Dublin but so want to go. 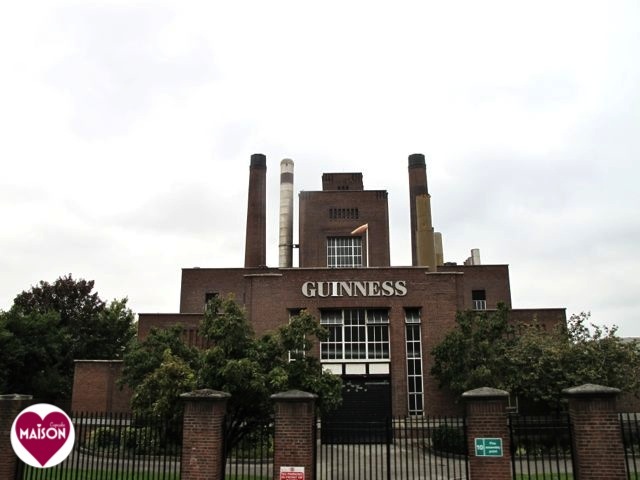 The Guinness place fascinates me already and I also want to see the green post boxes. How cool! 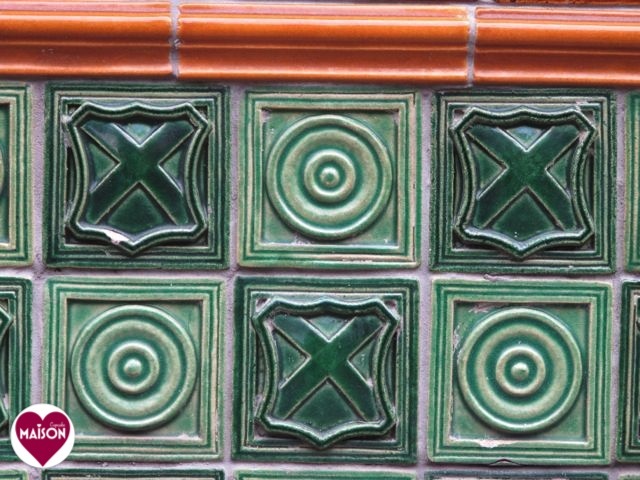 I really must visit Dublin Sometime and you have just put me in the mood. What a lovely trip with some nice photos. 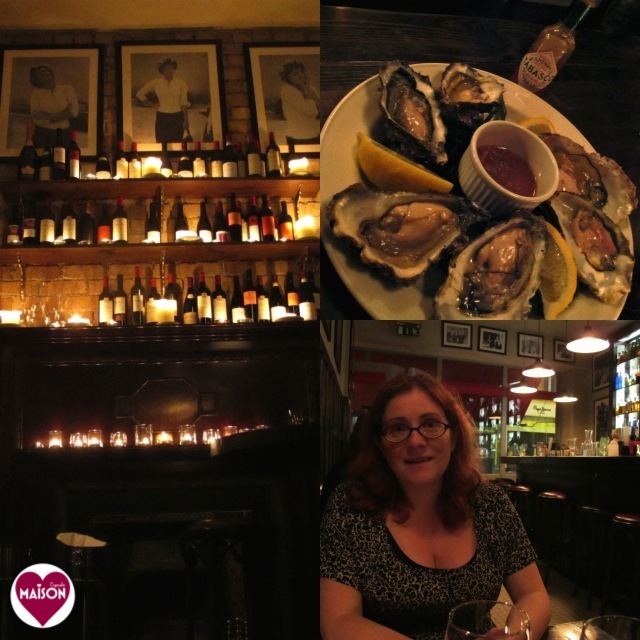 Great to see your pictures of Dublin Sarah – such a great city. Haven’t been for a few years but loved the weekends we’ve spent there. Ireland is a brilliant place for a holiday – Matthew and I had an amazing autumn break there before we got married. It was like stepping back 30 years and the hospitality in the little B&Bs we stayed in was the best we’ve ever experienced. 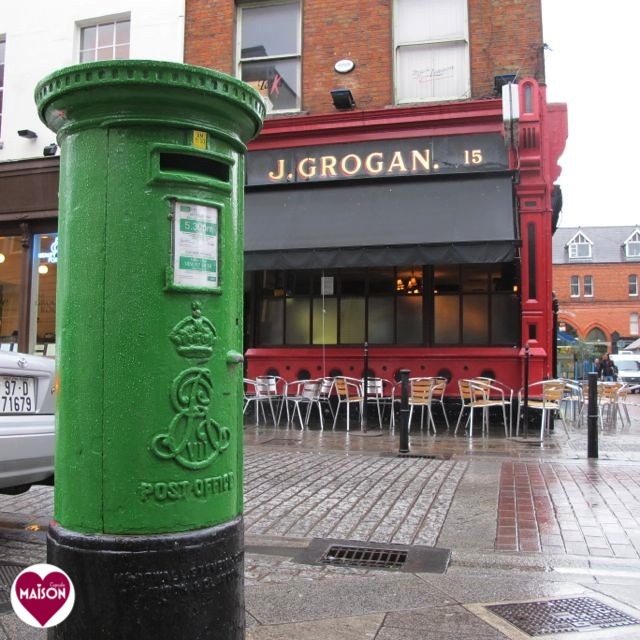 Love the green post box. I’ve never been to Ireland, but have always wanted to go. One day I’ll manage it along with Italy – it must be something to do with I. Fantastic post! I’ve always wanted to go to Dublin it looks like an amazing place. I never mind rain – as you can imagine. To my shame I have never been to Ireland and long to visit – your pics entice me even more. I know what you mean about cameras. We were in Dublin in 2006 and I’m sure my photos are not a patch on what I could take now. I changed my point & shoot camera in Mar 2011 so it’s ages since I really looked at old point & shoot pics because most early pics on blog were taken with same DSLR I use now. Your post is getting me SO excited for travelling there – cockles and mussels a-live a-live-o! You give me some Ideas now.. have been to Dublin ages ago and also have some nice pictures hiding in my archives. Funny to recognize a lot of the landmarks.